If you want to write, "You must read dreadful dumb books and glorious books, and let them wrestle in beautiful fights inside your head, vulgar one moment, brilliant the next. You must lurk in libraries and climb the stacks like ladders to sniff books like perfumes and wear books like hats upon your crazy heads." This is just delightful! 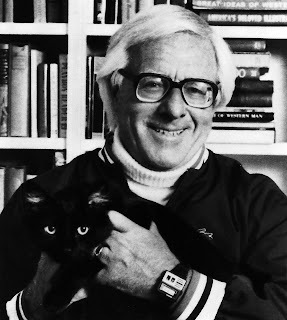 I was lucky enough to meet Ray several times – – because I live in Southern California and because he was so generous donating his time to conferences and book fairs, usually if not always at no charge. He had a way about him that made every author feel as important as we thought he was. What a gift he has given to the writing community that continues long after his death. Thank you for this lovely reminder. 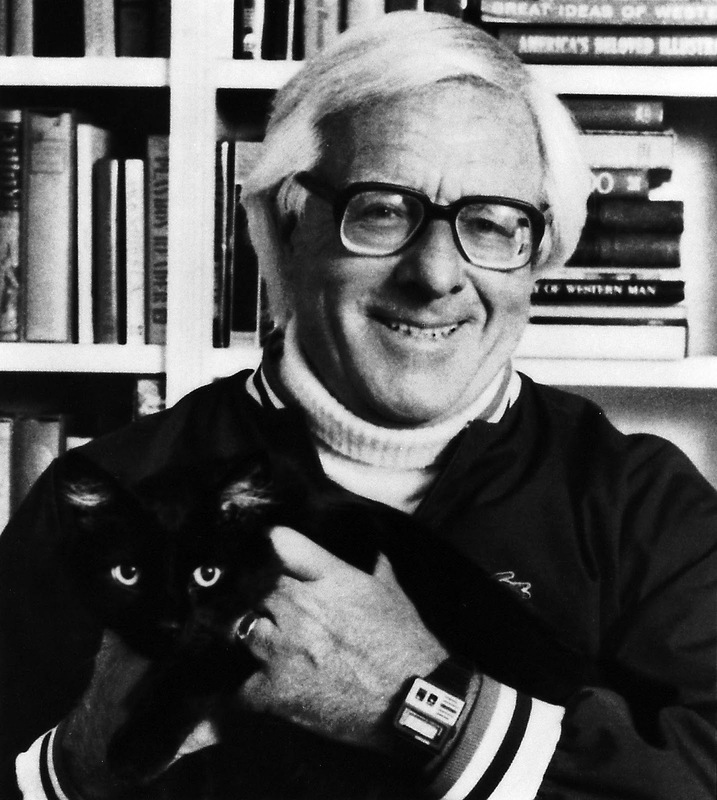 You MET Ray Bradbury? SEVERAL times? Wow! How cool. Nice to hear that he was so personable and generous. What a great writing quote from a great writer! Thanks for sharing.